Rose helped collect a giant bundle. We gathered eight or ten stems into smaller bundles, and wrapped each in twine…they are being hung with their flowerheads facing down so they dry without drooping. But Rose doesn’t want to hang this little wee bundle in with the big ones for fear it will get lost. They will flavour the air and look pretty drying here! Ummmmmmmmm, I can smell it from here! Wonderful relaxed atmosphere…sweet happy dreams to come. Good, good life! 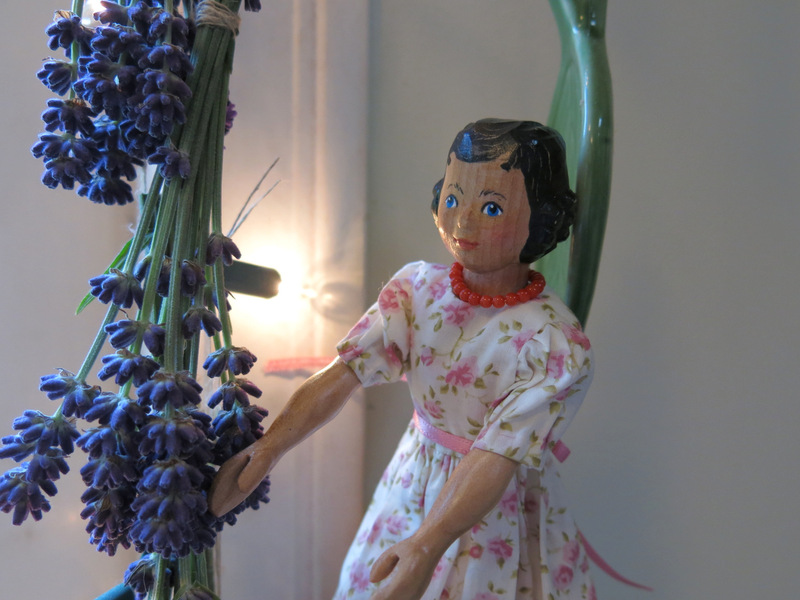 We love lavender, and got the idea from you! 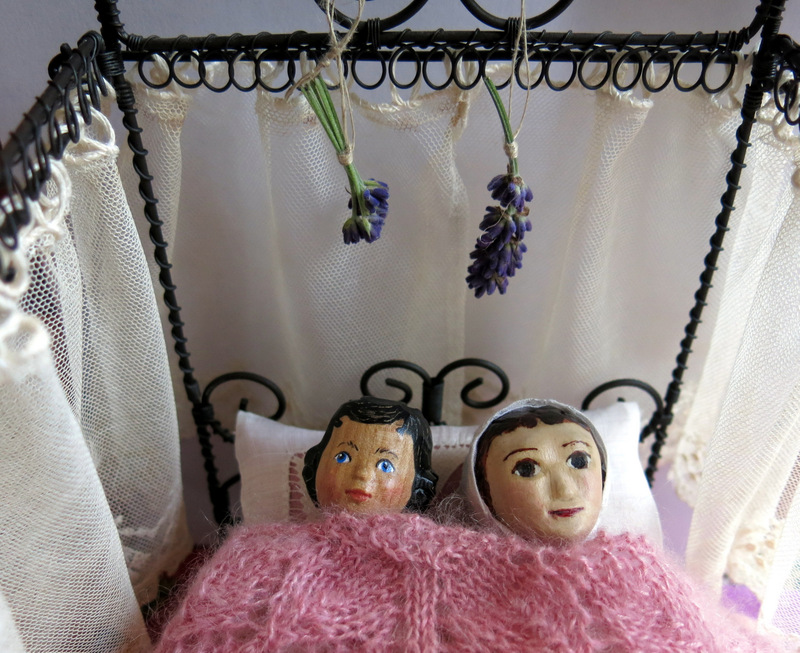 the photo of the girls in that lovely bed with the lavender drying…..so creative!! Constance and Rose are quite prepared to allow the bliss to last a little longer! 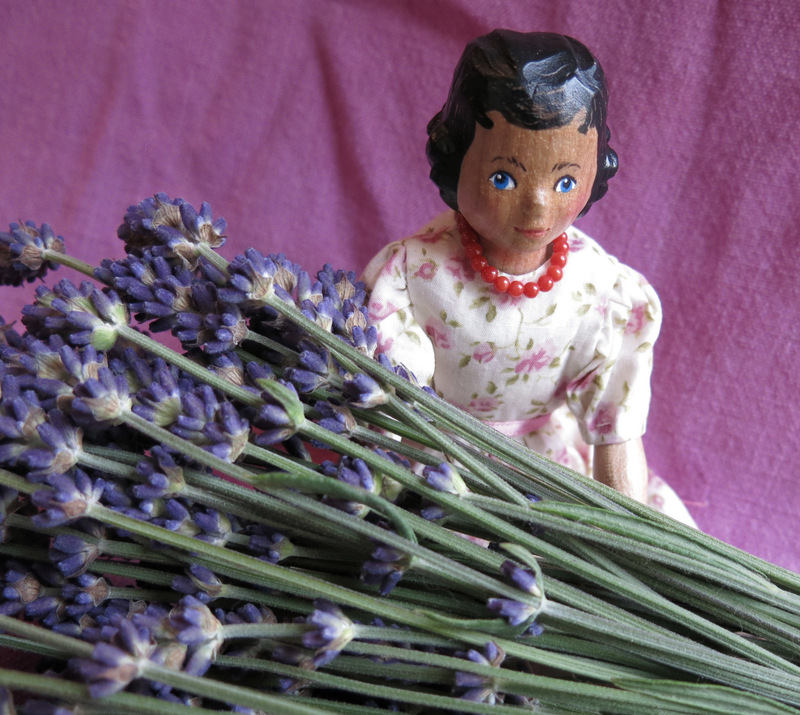 They wish they could send some lavender, but cross-border plant transport might be illegal. yes I agree…the packet would be confiscated!! 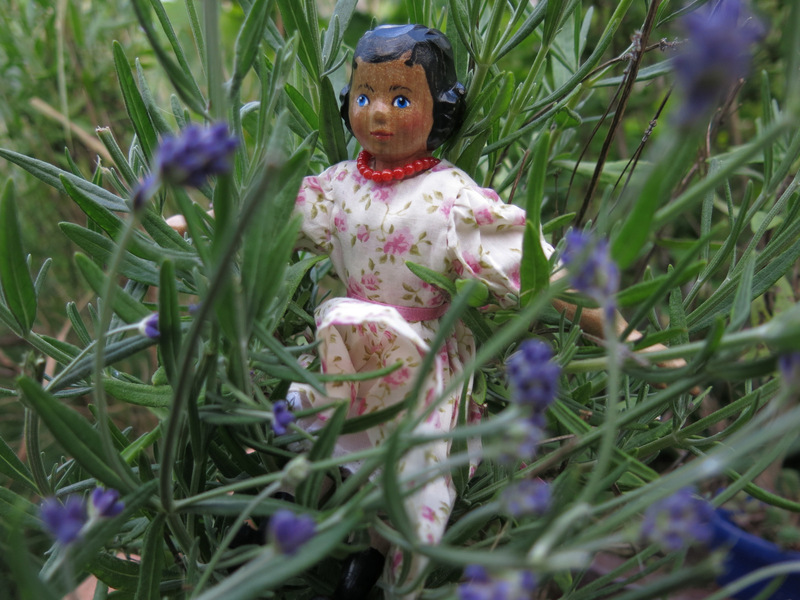 My girls and I will made do with our mini lavender. But thank you for thinking kindly of us here . We shall sleep well imagining all of you inhaling that aroma. 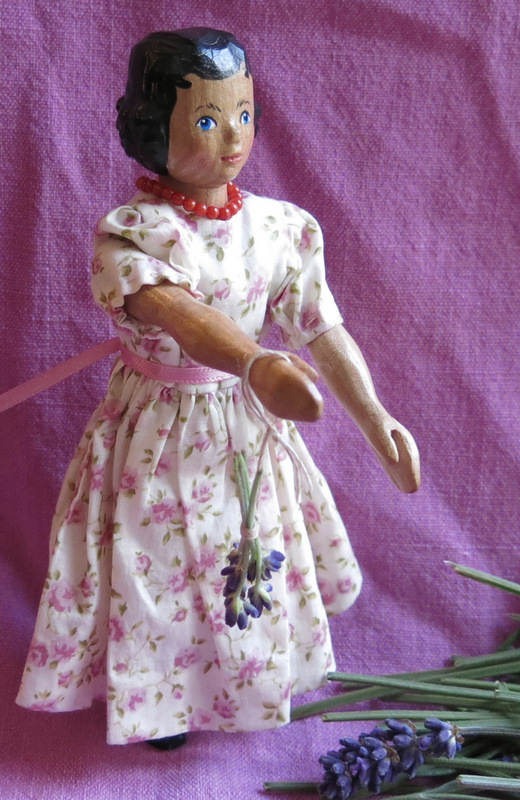 Sweet dreams to you and Hetty!